Outlook: There are so many things that DaeLin Switzer can do in track and field. 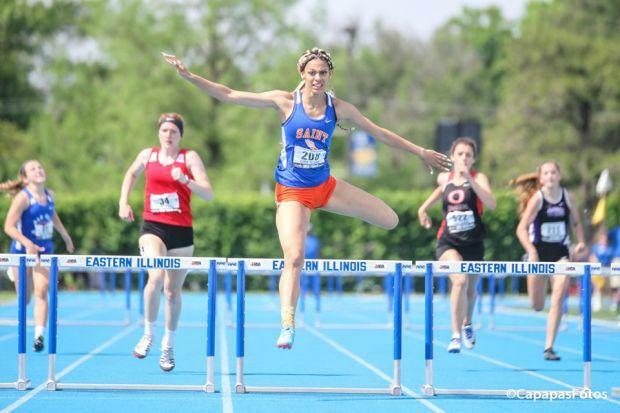 Long hurdles are one of those events for the future Northern Illinois University product. It was easy money against some of the best talent that the classification has to offer. Switzer is heads and shoulders above everyone here and #3 overall in the state. We should expect to see times in the low 43's this season. Watch for Kenli Nettles and Danielle Taets. They are both dangerous.